World number three Roger Federer will be out of action for a month after having arthroscopic knee surgery. The 34-year-old 17-times Grand Slam champion had the surgery in his native Switzerland to repair a torn meniscus. He was injured the day after his four-set Australian Open semi-final defeat by Novak Djokovic last week. Federer, who won his most recent Grand Slam at Wimbledon in 2012, has pulled out of the World Tennis Tournament in Rotterdam and the Dubai Championships. 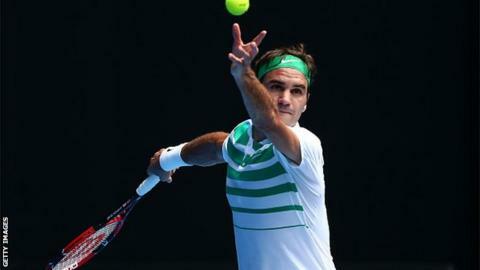 He is the reigning champion in Dubai, having secured his seventh title there last March, and has won twice in Rotterdam. "While this is an unfortunate setback, I feel grateful that up until now I have remained mostly healthy throughout my career," he said. "My doctors have assured me the surgery was a success and, with proper rehabilitation, I will be able to return to the Tour soon."